Alex Ferguson: On the brink of securing the English Premier League title for Manchester United. This weekend, Manchester United and Barcelona moved within a point of clinching the English Premier League and Spanish Primera Division titles, respectively. These two teams are clearly the best on the planet right now and should guarantee a fantastic Champions League final later this month. As far as who will come out on top, there is no doubt in my mind that it will be the Spanish giants lifting the trophy at Wembley. If United line-up with the team that recently beat Chelsea in the Champions League and the Premier League, they don't have a chance. There are a few reasons why I believe this, and the most important one is the quality of their midfield. There is no way their quartet of Antonio Valencia, Park Ji-Sung, Michael Carrick and Ryan Giggs can compete with Barcelona. They may have been good enough to get past Chelsea, who can arguably boast the best midfield in England, but they will not be able to cope with the speed and precision of Barca's passing in the title match. Let's break it down. I will admit the central midfield partnership of Carrick and Giggs has been good so far and that has surprised me. I honestly thought this pairing was a gamble by Alex Ferguson and that it would not pay off, especially against Chelsea. But I have been proved wrong. Obviously it helped that neither Frank Lampard or Michael Essien have been close to their top form, but still, I commend both United players for setting the tone in the key games against the Blues. However, as good as they have been until now, they are still nowhere close to having the skill, the physical presence, or the pace to threaten Barcelona. There is no doubt Ryan Giggs is a legend. Recently he became the oldest ever player to score in the Champions League and his career has been nothing short of spectacular. Furthermore, his influence in the games against Chelsea and Schalke in the knock-out stages of the Champions League was amazing. Barcelona will be a step too far for the 37 year-old, though. He will struggle to make an impact at Wembley. He simply does not have the endurance to play in that position effectively in the final. Giggs' role would be made easier if he had a tougher player behind him – a rough and ready defensive midfielder with a passion for making big tackles. Carrick is not that player. The England international has impressed me lately with his composure, but he is still an average player. He is like an engine that only has one gear and I see him getting gobbled up by Xavi, Sergio Busquets and Andres Iniesta in the centre of the park. Last but not least, let's take a look at the wings. Park and Valencia are two hardworking players and have proven time and again that they are extremely reliable, but as far as I'm concerned they are not good enough to trouble Barcelona's defence. They don't possess either the skill or the explosion of pace that you need to get past Dani Alves or Eric Abidal. United need more than just consistency from their wingers to threaten their opponents, and they are not going to get it from either Park or Valencia. So is there a hope for Ferguson's side in the final? Yes, of course there is. Their central defensive partnership of Rio Ferdinand and Nemanja Vidic is probably the best on the planet and with an inspired Wayne Rooney, anything is possible. However, the Premier League giants will have to change their tactics if they want to have a chance of beating Barcelona at Wembley. I would definitely go for a 4-3-3 formation. In midfield, I would pick Anderson to play behind the central midfield partnership of Carrick and Giggs. The Brazilian would add some resilience, physical presence and fresh legs to chase Barcelona's passers around. He would also give Giggs a bit more freedom to use his energy attacking rather than defending. Up front, I would go with Nani on the right, Javier Hernandez on the left and Rooney in the middle. Chicharito and Rooney could switch positions frequently during the game and with this line-up you would have three players who could all make a difference in one-on-one situations and a trio who all have pace to run at Barca's back line. So that's my call. What will the greatest manager of all time do? We’ll find out soon enough. Clearly you have not watched Valencia play if you claim he doesn't have the skill or burst of speed required, as he has shown time and time again that he indeed does. Nani will play the other wing, so in them we have 2 very speedy and skilled wingers. SAF will have to get the centre of MF right, but otherwise we can go toe to to with Barca. Chicarito can be the match winner again! However, you are way out on certaily one thing. Perhaps you havent watched Valencia play too often, as if you had, you would be in full appreciation of his 'explosive' pace. He has made and continues to make some of the worlds best defenders (Ashley Cole, point in case) look slow as he careers past them to the bye-line to deliver dangeruos balls into the box. Barcelona's weakest link is in their defence. Valencia would bring both the work ethic defensively and guile, pace and danger whilst attacking. I think you are right. I am a united fan and i cannot see past Barce for the final. They simply are the best footballing team since total-football Holland of the '70's. That said, one game, one night....stranger things have happenned!! You've started again Pedro.But i take solace in the fact that you've pretty much got everything regarding the champions league predictions wrong so i have no doubt in my mind that you will be wrong again and man utd will win the champs league. The media's love affair with Barcelona is so tiresome. Everyone's unbeatable until they're beaten - Federer, Woods, Nadal, Schumacher, Tyson, Brazil, the Australian cricket team etc. etc It's bandwagon no risk journalism to maintain the status quo and say the favorites will win. The fact is, Barcelona have looked tired in the last few weeks. Their midfield has not dominated as it used to, even against an ordinary, tactically cautious Real Madrid in 3 of the 4 Classicos. I believe there's every chance they'll be out-worked by United in midfield. Carrick and Giggs are having a great season. Valencia is fresh having spent much of the season out injured, and Park is perpetual motion. Defensively, Ferdinand and Vidic are the best in the world, and Van de Saar is vastly superior to Valdes. Going forward Nani has become a threat as opposed to a trick pony this season. An in-form Rooney can trouble any defence in the world. And Chicarito is a poacher par excellence. One slip by the offensively minded Alves or the gritty but pedestrian Puyol, and Barca could be chasing the game. And, apart from the individual brilliance of Messi, on which they've become over reliant, who's going to get them goals with David Villa so off the boil? United also have a score to settle after losing to Barca in 2009 which will add motivation. So how about not playing it safe for once, giving us some balance, and telling us why you think United could upset the odds? I can only find a modicum of sense in this article, yesterday we chose to play Park Ji Sung from the left but as it transpired he played most of the game centrally as Utd were comfortable when Ivanovic had possession – we can't afford to do the same v Barca as Alves is one of their main attacking thrusts from left back. The return of Patrice Evra may be more of a solution to the Alves problem with the little Frenchman pushing forward and Carrick/Giggs/Park covering. Wayne Rooney in my opion will also drop deep as he has been doing recently into that trequartista position "sitting" on Busquets who surprisingly spends longer on the ball than Xavi. Rooney can do a very effective job from this role as he can also direct play to either wing, it's a pity that Nani doesn't have the work rate and tactical nous of Park as he has the skill and pace to pin Alves back in his own half. Your choice of Nani over Valencia is shocking to say the least, Valencia dominated Ashley Cole in a way Ronaldo never did and most right wingers never have, in fact if Valencia hadn't suffered his horrible injury Utd would most likely have sewn the league up weeks ago. It's not a midfield 4 but 5 with Rooney dropping in to outnumber the opposition's midfield. 4-3-3 against Barcelona is Kamikaze. Not a clue. I'm sorry my friend but I've read this and you clearly don't understand football (soccer) if you think Man United's midfield is a weak point. Far from it. Furthermore, the team you're proposing to put out with three up front gives Barca's passing carousel even more space to exploit than the one which was playing on Sunday. Playing 3 forwards would be absolute suicide – why are you're even suggesting it? I'm not surprised because when I was in Boston for the Champions League final a few years back, the bar manager tried to tell me that Steve Gerrard (of Liverpool in case you don't know who he is) was no good. That was complete nonsense too. I left. Man United's energetic and busy midfield was excactly why they won the game on Sunday, and it is in the same area of the pitch (or field, depending on what side of the Atlantic you hail from) which will give Man United the best chance of overwhelming Barca's talented midfield. They will also need a strong referee who doesn't fall for their constant falling over and screaming routine. Barca's diving is often more effective than the passing game which wins them almost endless praise. Noone ever talks about the falling over they always do in every match. They're very good at that too. Providing Man United can keep hunting down the ball in midfield pairs like they did on Sunday, I think there's every chance they can hit Barca on the counter attack and win. It won't be easy, and they'll need a fair referee who likes football played as it should be – fast, skilled and hard – just like it is in the Premier League. Anyone who truly loves football should tune in and check out how the game was meant to be played. Pedro makes it look like Barca is unbeatable of course they play good but this time around Man U is going to come out the winners . The English fans are not going to accept the favouritism Barca get from match officials something that makes you feel like some of the officials are on Barca's pay list ,believe it or not Barca is a favourite team of FIFA and UEFA . We want to watch an interesting final so we need good officiating . Pinto I think you are taking one sided look at the champions league final.Anyway I hope Manu will play the 4-4-1-1 with Rooney playing behind Chicharito.Barcelona has some weakness at the back which you seems to overlook by concentrating too muchon their mid field.You might be forced to eat your humble pie on 28/5/2011. Great topic by the way, 4-3-3 by Fergie will definately rattle Barcelona if only United go for the jugular ( yes it is possible to attack Barcelona), Barcelona have a certain weaknesses in the full back positions and the center back areas, should Fergie elect Valencia on the right be sure that he will combine his defensive duties with running Abidal rugged ( always put your money on a classic wideman) and I disagree with you, he has the pace and power to overun Barca. The Blaugrana usually beat and embarass teams because they alll end up chasing shadows and end up playing the whole game defensively instead of attacking as displayed by Arsenal in the round of 16 first leg at the Emirates. So in hindsight your only shot at beating Barca is putting them on the unfamiliar territory of defending as for the selection for United, do not forget the fit again Darren Fletcher he is as defensive as he is intelligent with passes..long balls may be frowned on but the lack of height in Barca's rearguard is an advantage for United. Taking advtange of set piece situations is also another leeway. Subs: Henandez, Nani, Kucszak, Smalling,Anderson , Berbatov, Scholes... Gameplan defend upfront , hit on the counter. whoever publish this analysis is either bercelona fan or supporting bercelona to beat ManUtd, how can you pick anderson in a massive showdown like this, anderson is inconsistent, how can you pick nani instead of valencia, nani didnt posses defensive ability like valencia, and you will drop park and put anderson, you just select players that bercelona can beat... whoever publish this is bercelona fan. are you serious? did you watch the game yesterday? park was outstanding in the middle of the pitch. giggs was pulling strings and making some great decisions, as he has done this entire CL campaign. as for the wings – valencia is the definition of 'explosion of pace'. i also noticed you failed to mention hernandez (the fasted player at the world cup) although you think manu should play a 4-3-3.
off you pop back to the nou camp plz. i guess there'll be a change in tactics, push up the defensive line, let them have as many offsides trouble they can have. secondly, play some one on one parties, use the twins on each half to make messi tired from running away, mean while, having park to do the unlimited interference he can make to destory their passing, along with carrick. Front, it's not that easy, I would put rooney in the left mid front session, he seems to be really good over there, hernedez at striker, instead of valencia, I would put berbar out, to do some headers, tho his recent form is worrying but u never know, he might do rainbow kicks. Barca are no way near as physical as Man utd, Barca look for the reff all the time and fall over alot. they play alot less physical over here in Spain. Man utd play are alot faster and more physical in general. Take away the 3 main players of Barca – Xavi,Messi and Iniesta – very different team altogether, take a look at there last games with Real Madrid – disgusting football they dont like to be pressured. All very well possesion football, but extremely boring to watch. Lets hope they dont fall over alot at Wembly!! Good Team Barca, but now everyone who plays them are starting to get frustrated with their style of play, soon they will be beaten more often!! Conclusion – its about tactics not the quality of players – Messi is an Exception, he is a genius! A 4 3 3 formation not work for united against barca as you lose effectiveness of ronney and hernadez. And why would put hernadez on the left he has never played there all season and will be useless there. Nani should not play as he does not do it in the big games. Park and Valencia will maul alves and abidal as they will play so far up the pitch that they will get caught out by the united wingers. There is no need to worry about carrick getting caught out or to play anderson as ronney has done for a while has helped the midfield to provide help for giggs and carrick. Valencia mauled the best left back in the world in ashley cole so think what he can do to abidal who is slow and not match fit. Park will run for ever. And if ferdinand and vidic play their is no chance for barca. Barcalona have a terrible back four and if a proper team gets at them united will kill them. And finally busquests is a nothing player, a diver and contributes nothing to matches. he does nothing in every game i see him play. united to win 3-1. The only thing I like about your piece is that you totally underate Man U. In spite of all their achievements this year: Champions league finalist, Primier league Champions elect, Man U have have managed to retain the underdog lable. Am sure Pep Guadiola, having watched Man U put 4 past Shalke using a second string team at Old Trafford will not be taking such an attitude to the final. I will tell you why I think Barcelona is beattable: They are wonderfull with the ball. Without it, they panic- they have been lucky in that they also cause other teams to panic with the ball. Without the ball all the players crowd the area with the ball- meaning they leave wide open areas for exploitation. Of all teams, Man U is one of those teams that is always comfortable without the ball- look at all the statistics- Man U always has the lowest ball posession. Against Chelsea, it was always around 40 -42%, with even less shots on goal; inspite of thise stats and with some luck Man U could have scored 5 against Chelsea. Barcelona keeps a high line- the back 2 Pique and Puyol are always near the mid way line, and they have the ball more times than any other players except Xavi and possibly Inniesta. Every body knows that these 2 are not the speediest in the business. All a good team needs is to put the ball behind them: would you want to bet against Chicarito giving them a run for thier money? How many times has the keeper been asked to intervene? In the 2009 final Ronaldo decided to play a one man against 11 with disastous results- am sure that selfishness rather than the money convinced Fergie to offload him to Real Madrid. Really? Anderson behind Carrick and giggs? Nani over Valencia? I find it a little more difficult to dismiss Sir Alex Ferguson's judgment when it comes to the wildly successful squad that he watches every single day. Everyone knows Barca's centre midfield is superior, but I believe we have better classic wingers in Nani and Valencia who can stretch their slow defence. We are not going to play a passing game, we will distribute to the wings as quickly as possible, or try to play Hernandez in with through balls. I think our lineup will be almost identical to the Chelsea game. Same tactics too. Blitz them for 15 minutes and try to nick a goal, then soak up pressure and play on the counter. Barca do get nervous and frustrated when things don't go their way. We just have to avoid an early goal, and the energy of Park is key for this. Bring him off in the second half and put Anderson or Fletcher on maybe if he gets tired, like at Chelsea. Valencia will definitely start. He made Ashley Cole, best LB in the world the world, look like an amateur. You are totally wrong, it's really impressive how united it's playing, and the most strong thing about united are Valencia and Park, Valencia is the fastest winger I ever seen, and I think will not have a problem to beat abidal or Maxwell, and park is 110% of breaking opposition game and passing is great, you will see in the final how wrong and mistaken you are. You said chelsea would beat United and reach the final. I didnt see that happen and this article is the same case were ur rooting for barca. its funny hw this season the media havent given credit to this united team, what a shame. But it will be perfectly sweet when United win the double. 4-4-2. Pedro, you're forgetting one of the most important players for United! Fletcher is a destroyer and was sorely missed last time these two met, and Carrick in his place was overrun. Fletcher is fit for the final. Giggs may not start, especially if United play Mourinho tactics and have Anderson, Carrick (I doubt it) and Fletcher in the middle. There is a reason why Nani rarely shows for games outside of mid-level teams and below. His trickery and razzle dazzle is ineffective against more talented defensive teams. Expect Park and Valencia to show big for the team at Wembley. Barca will probably win, I agree, great game I don't think so. Just glad if Mr. Ferguson looses, I find him arrogant – self centered and maybe even overated. One who gives interviews when he wins (notice I said he wins) and sends the assistant when they loose (notice I said they loose). So brash, rude, and surly hopefully will lose and – maybe he will give credit to the other team for once. Again great game I just don't see it (2-1 Barca). Barca will probably win, I agree, great game I don't think so. Just glad if Mr. Ferguson looses, I find him arrogant – self centered and maybe even overated. One who gives interviews when he wins (notice I said he wins) and sends the assistant when they loose (notice I said they loose). So brash, rude, and surly hopefully will lose and – maybe he will give credit to the other team for once. Again great game I just don't see it (2-1 Barca). To bad Man U. has great players and would like to see Giggs and VDS go out champions. Games like these rarely live up to hype. After reading some of the other posts I want to say to Man U supporters – it's not the team that I don't like (I think they are certainly one of the best in world right now,) but their coach well that's different. I know a lot of people will point to Man U's record. Fine, give credit to the players . 4-3-3 is truly suicidal...let them play 4-5-1,rooney to strike.valencia and nani will be dangerous along the wings..giggs and carrick playing a creative role...i'm sure barca will be beaten. can barcelona beat man.uited..absolutely can!!!! Barcelona has the better all round team, but Man U has a leathal, mean strike force blessed with speed and accuracy. Granted Barca s midfield is very good but Man U only have to up their game compete and take the game to Barca and the situation can change rapidly, and Pedro you are underating the cunning and guile of giggs and park, very experienced players used to high intensity games. Manchester's only chance is to play anti-football llike Mourinho always does. But that's , thank god, not Manchester's style. So they'll go for it which will give Barca the chance to show the world who's best. the writer obviously hasn't been watching man utd or any barclays premier league games for that matter. he suggests a 4-3-3 formation with hernandez on the wing? he's not a winger, and rooney is ineffective at centre forward. barcelona are the favourites; but take note of the following facts. 1. in the 2008 edition utd almost beat barcelona at the nou camp, but this didnt matter as iniesta and xavi were outclassed at old trafford. sure, utd don't have ronaldo now; but frankly speaking i think david villa is nothing like eto or ibrahimovic for barca. 3. utd can take on many dimensions and are therefore more unpredictable – they can play possession, counter, long-ball, defensive high-line etc. Barca on the other hand, is simply a possession-based team (albeit excellent at it). this, with utd's depth in squad (nani, berbatov, scholes on the bench) vs. the likes of afellay? mark my words – the game will be won on strategy and team dynamic, not individual skill. Barca are of course the favourites but they are by no means unbeatable. Whilst I trust in whatever team/formation SAF decides to play I would like to see the following. I know many will say that Chicarito, given his amazing 1st season should start but having him on the bench would be a good weapon to have towards the end of the game incase we're chasing the game or it's in the balance. Carrick has had a good run of games but, in the only part of the article I can 100% agree with, the midfield of Barca would overwhelm him. For those who know how Carrick plays, once he feels out of his depth, he plays like it too. Valenica, Park and Fletcher would provide the legs of the team. Hopefully hounding Barca in possession and forcing them into mistakes. Both teams will look to counter but i do imagine this game being a lot closer than the free flowing attacking football that both teams generally play. Don't forget, this is the champions league final, and there WILL be nervous players out there. FC Barcelona is famous...but where is famous? Referee help them too much! Any referee only bully all spanish football club teams...except FC Barcelona. Don't u think that FC Barcelona right now wining with help from referee? No wonder now many people are not satisfied about referee helping FC Barcelona too much. and other else players are playing much better. He kick out FC Barcelona in Semi Final year 2008 at old trafford Stadium. Pedro..Sometimes...u can't ever go think man united is weak from 2 years...it's ronaldo gone...but think about nani can replace him already. I hope Manchester United sure can Win revenge against FC Barcelona. Pedro, this is simply your opinion. I heard a similar stuff from some folks before ManU played Chelsea. Football is beyond skills. Im sure SAF will come up with a suprising tactics against Barca. i wholesomely agree with mr. pedro... though current form is the yardstick for predicting the success or otherwise of any given team. but the dynamism of football goes beyond studio polls or arm chair guesses.certainly,u'l agree with me that one of the most important factors that helped man utd in their recent vein of victories is the pschological supremacy they possessed over their opponents. however, this tie barring poor officiating,injuries or technical errors from the bench,is too close to call. I don't think Pedro Pinto know any thing about football(soccer), and i dont think he nornally watch Man United games because if you do, you will never make such statements about the likes of Valencia, Giggs, JS Park etc. You dont know the quality of those players, those players will definately trouble that weak Barcelona defence. But i cant blame you Pedro for your baseless statements, you get paid to talk so keep on talking rubbish and wait till May 28 to see what happens. A month ago, I had doubts on Utd's capability of overhauling Barca. Being a loyal Utd fan, I more confident with their style of play now. I am pretty sure Fergie would notice how Real scored t goal against Barca. I am confident tht this game would exhibit the best tactical execution. Its not down to the players on the field as the managers will be the X factor of this game. Sir Alex is my bet. You forget Darren Fletcher.He is the keyman. I think this time he can help Man U. That whole article is just ridiculous. You say United couldnt cope with Barca in midfield so your recommendation is to play with three in midfield? ?...yeah that makes sense..
Pedro, do you want the Chelsea manager position? I'm good friends with Roman, I can get you in. Don't believe me? Well, I don't believe what you wrote either, but that doesn't mean I can't write what I want to. Right? Re: Mark1909 – Your comments only go to show how thick casual racists like yourself are. PINTO'S A PORTUGUESE YOU TOOL. As for most of the posts on here I seem to recall most of you Man U fans (cos let's face it you're the only lot on the planet who think you're better than everyone else) puffing your chests out in 2009. You were saying then that all the neutrals didn't have a clue and that you'd take the smiles off everyone's faces by beating Barca. And then they go and use you like a mop. Yes, there are few points I'd contend: a) Valencia DOES have a great turn of pace, b) Park was great v Chelski and, c) Giggs, I believe, will have a great game. However, a) pace won't be enough against those boys, b) Park very rarely has a great game and, c) Giggs WILL tire in MF against Barca. Too many blinkered views from Man U fans here. Obviously crack is more readily available in your towns than it is in Cardiff. i know Sir Alex will pull up a surprise package against Barca. Pep looks to always rely on very few team selection/formations, thats the disadvantage Barca have – predictable. Barca does often entertain but this game will require the passion of a winner not entertainer and Man U does fit the bill, i see the trophy being flown to Manchester from Wembley. pedro so coach and win 18 cups and come back and say something. pinto obviously does not know man. utd. he tells us barca will beat us and then selects the team which will cause our defeat.i'm sorry pinto ,you have backed the wrong horse and SAF will prove you wrong on 28 may. Pedro's predictions are the opposite of the late Paul the octopus. He predicted Chelsea to win against ManU.the contrary happened. you are soon becoming a laughing stock for those you predict against. the way I see it, your just a strong Barcelona fan..!!! If there's one team that could beat Barcelona, that is ManU. They have got the striking power of Rooney & Hernandez, the great midfield presence of Giggs & Carrick and for-sure the relieble defence of Ferdinand & Co. The entire starting11 is full of talent with a good bunch of talented impact players on the bench. This match is gonna be a heck-of a game. What a poor article. The man who cheered for Madrid when they were against Barça now roots for Barça. Barça this time is not playing against a Spanish team but against the English champs that play English football. That's enough to put some doubts into the head of Guardiola. 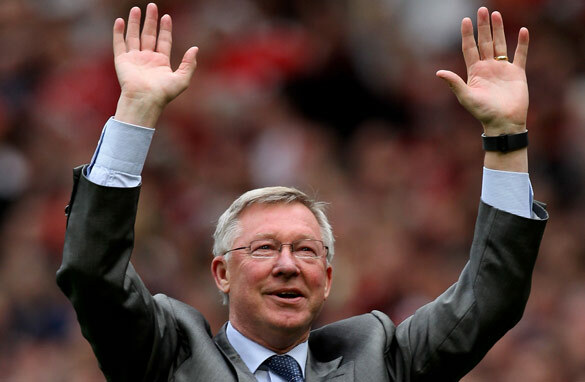 Plus you're talking about Sir Ferguson one of the most experienced coaches still in the business today. I say it's 50-50. Btw you know who will definitely not win it? REAL MADRID. Mr Pedro we shall see! You've shared your unneeded opinion which of course your free to do, but watch out for the United games on the 28th and see for yourself!! I kinda agree with some of your points Pedro…Barca has an incredible mid-field presence, but the play you are suggesting could be potentially damaging, simply because United hasn’t used that ‘play’ all season. Remember what happened in the 2009 Champions League Final? Sir Alex changed the play for the final against Barca and it failed woeful. No doubt Barca is a stronger team man for man, but United’s strength lies in the synergy of the players and Sir Alex. I believe United should stick with the play that has gotten them to the finals, and buttress their defensive mid-field…and if they loose, it won’t be on a technical flaw. I think all have said and done, as Messi said during their league celebration, let us wait and do all the talking coming May 29th, after the game. I know most of your comments will change. Flexibility is what makes Manchester United and Barça very special teams among fellow greats in Europe. Footballers at United and Barça have been playing together for long. It's not easy to predict any thing before hand in this grand season ending clash of titans. I want to be patient and hope to watch Manchester United and Barça take the game to the next and a higher level. Best wishes to the players and fans of the two sides. Pedro I totally disagree, that you speak spanish doesn't mean mean you should be with Barcelona. Listen mate United should beat Barca I don't care even if Barca are 15 in the field, Barca cheats a lot by diving and it is getting terrible with the Ref's once you touch messi because they all want to grab his t-shirt, secondly only a goal will put United through as I predict then Barca can never manage themselves like Chelsea or other teams if you are a goal down. I am really disappointed with your pre-match analysis.. but keep it up.. it's CNN that kept you there. 2) Real lost because the ref was biased 2wards barca and let them get away with murder with hgauins goal and pepes dismal. Also Real are not good as manu in counter attacking football , real did cause some damage and I bet manu will play like REAL Madrid but be more effective. 4) manu will contain messi with a man 2 man marking the same thing jose did with pepe at the santiago barbabue and with diara at nou camp. 5) Real lucked great defensive players who could pass, dribble and connect to the attack, Man have scholoes, caraick, anderson who will be need to be in hole. 6) manu will play a 4-5-1 counter attacking system which will clog the midfield and hit barca on the conter. just like Real and Arsenal did but were not ruthless enough. ronney will be "shown" 2 play as second striker but in practice he will be more less an attacking midefilder/ play maker and hernandez will play solo up top. 7) manu are the masters of grinding and ruthless counter attack in football. 9) apart from messi barca strikers vila and pedro haven't done much this last month also and their defence has had injuries and victor valdes is not that good. I totally agree with Pedro Pinto ,mighty BARCA will once again crush Utd & put them to the sword.In the 2009 UCL Final in Rome BARCA totally outclassed,outplayed &outmanoeuvred the Red Devils Mancs.Once again the 40year old Pep is going to outwit the 69 year old Fergie.I have no doubt in my mind that this final is going to turn out to be a replica of the Rome final in 2009.This lethargic Utd wont live with this sublime,technically superior BARCA side.The MANCS are facing a brilliant side spearheaded by the peerless,imperious King LIONEL MESSI ,the two time World player of the year ably supported by eight World /European Champions ,brilliant footballers who have tasted success at the highest echelons of football.Absolutely none among the Red Devils have tasted success at the highest echelons!.The Puyol/Pique combination in the heart of defence is the best in the world because they managed to conquer the world at FIFA SA2010.Flanked by the Dani Alves ,the Brazilian international &Abidal ,the French international ,the BARCA defence is rock solid,they can cope with anything .Afterall Utd will be terribly deprived of possession by the sophisticated,slick mighty Barca.They think with Darren Fletcher coming in they stand a chance of shackling Messi ,heavens have mercy !,they want the world to believe that if Fletcher wasnt suspended in 2009 ,they wld have beaten Barca,LOL!Fletcher is a such a limited player offcourse full of energy but technically devoid ,he recently skippered his native Scotland at Hampden Park in a Euro qualifier & lost 2-3 to Spain ,Fletcher failed to impose himself in midfield that had Xavi missing thru injury.Its absurd & nonsensical 4 Giggs & Ferdinard to suggest that Man Utd never showed up 4 the Rome Final in 2009.Why was that a team failed to show up in a UEFA Champions league Final??? ?,i certainly dont buy that cheap notion!.Both of them shld be bold & honest enough & say that they were totally outplayed.Mighty Barca are coming to Wembley on MAY 28TH to reign ,conquer & not to bow to the Mancs .Barca are coming to Wembley for their 4th European coronation ! Antonio Valencia, Park Ji-Sung, and Ryan Giggs rule!!! I think you are out of your mind to call Valencia "average". Maybe the definition of "average" has changed and we werent notified. I think Barcelona will trade for Valencia any one of their wingers any time any day. As usual you're clueless, you picked Chelsea to beat United and you were wrong then and wrong now. Valencia isn't good enough to threaten Barca, what planet are you on? Rooney will run his socks off and provide cover for Giggs and Carrick. Also, Hernandez will trouble Barca's slow defense. Barcelona is Messi and Messi is Barcelona,as said before and it worked in the world cup.Space mark him,no man marking,then Manu have all the quality to win BARCELONA is a great side and a worthy opponent.About Manu having pace problems.The Premier League is the fastest League in the world,players without enough pace find no place there. Compare the scorers for Manu in the Champions league with that of Barca,a few individuals by Barca,Manu almost the whole team. So warning,. warning ,Barca will be an intruder in Manu's yard.If Any team doesnt respect Manu.I ask the question which team in Champions League history turned around a match and won it in 90 seconds.Anyone who doesn't know the answer ask Bayern Munchen. After I had read Pedro Pinto's article, I knew that he had stirred the hornet's nest. Given the preponderance of Man U's fans and supporters worldwide and their tendency to be rabid, I knew that Pedro was in for some bullying. And did they bully? Ninety five percent of the articles were cudgels aimed at Pedro's head. I only pray that come May 28 at midnight, Pedro's prediction comes true (at the least for the sake of his life), otherwise, he might become an intensive unit case after the match. Man U is relatively more flexible. Coming on the back of a team not given its due credit, SAF, the wily fox, will be concocting all manner of scenarios to undo Barca. Unfortunately, Barca is a team given to one way directional strategy- attack, attack and attack. It has served them well. The problem is that when things don't go the way the want for an extended length of time, they tend to get easily frustrated. SAF will be watching very closely to cash in on this. The good news is that they have the men to execute that kind of strategem. On the other side, Barca has perfected the art of keeping things simple – but deadly. Simple at the back and simple in the front. Where it seems almost all teams continue to be bamboozled is the centre, and their grip on that front is imperious. The trouble for Man U is that I doubt if they'll survive an extensive and imperious bombardment of their front by the Barca hounds, who once they taste blood, would never let go until the end of 90 minutes. Hear this, it is likely to be 3-1 in favour of Barca. Let someone shield me from the onslaught of Man U Rottweilers! Your team selection and formation blatantly illustrates your desire to influence Sir Alex Ferguson to hand the game to the Blaugrana. Regardles of who you support, its always good to have some facts about your opponents. Which in the case of Utd you don't. I totally agree with Pedro's 4-3-3 pick and that Giggs and Carrick will find it hard to get near the ball if Barca play their top game. Barca's short game is currently unbeatable. No doubt other teams will catch up but not so soon. Barca players remain close together and only pass max 15 yards, so when they lose the ball they are all over the opposition. The only way I can see to play is to wait until you gain possession, then fashion some space to break out of the tight space that you will inevitably find yourself in. Prediction: Barca will win, but it will be exciting if Man U score the first goal. it will at least another Two-O for Barca (even more). Simple...Rio is getting Older and Slower and Barca will take advantage of it. However it will come different story if MU play negative because it's the only way for ManU to increase their chance by maximizing chicarito speed. I believe ManU will take pragmatic approach which is negative football. Barcelona have a better coach for win this champions league the reason that i say that barca have a better coach than manchester is beacause is the real truth however, alex ferguson is not sure if his best player is good to play like lionel messi after all barca already is famous by their skills and talent and dont make me talk about messi he is barca super star. I never did fully appreciate J.S.Park's game. Bungling over too often than not. But these days, we get to see some tactical wonders from him. I just want an exciting game. Not like the dull EL Classicos we witnessed. Hoping for a full attacking game from both sides. May the best side win. the only way for man utd to beat barcelona is to bring their own ball. and man utd, dizzy and reeling once again. As I said during the build up on this site, barca will beat man U and they have done it. I just remember to pass by again to remain you all that no one can't beat barca as long as xaivi, inesta and masi on their side. This column is packed with non-sense English football Man-U fans and it really is sad. I believe 90% of the comments come from nowhere. As you have all seen, Futbol Club de Barcelona took a stroll in the Wembley park and, if you have some sense and knowledge in football, you just have to ackowledge the fact that English football is heading nowhere, meaning they have no future compare to the Catalan football philosophy.